My one and only good photo from April 15, 2014's total lunar eclipse as viewed from Prescott, AZ. This photo was taken hastily on a school night from the balcony behind my dorm room. 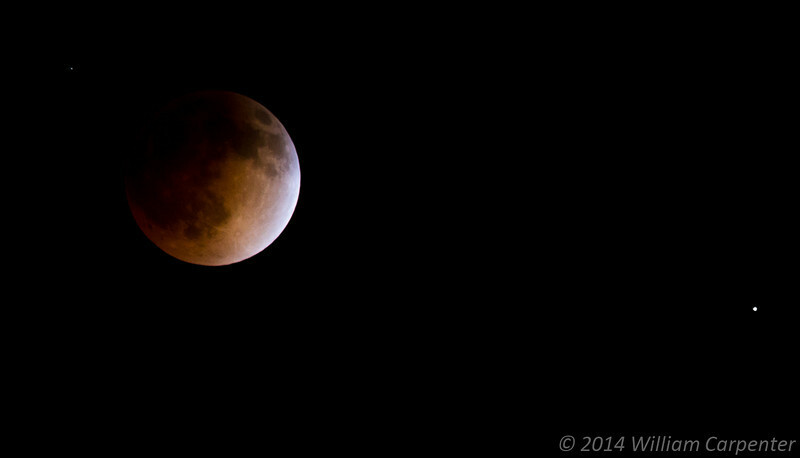 The Moon during the April 15, 2014 total lunar eclipse as viewed from Prescott, Arizona. This photo was taken about 35 minutes before totality. The bright star on the right is Spica.